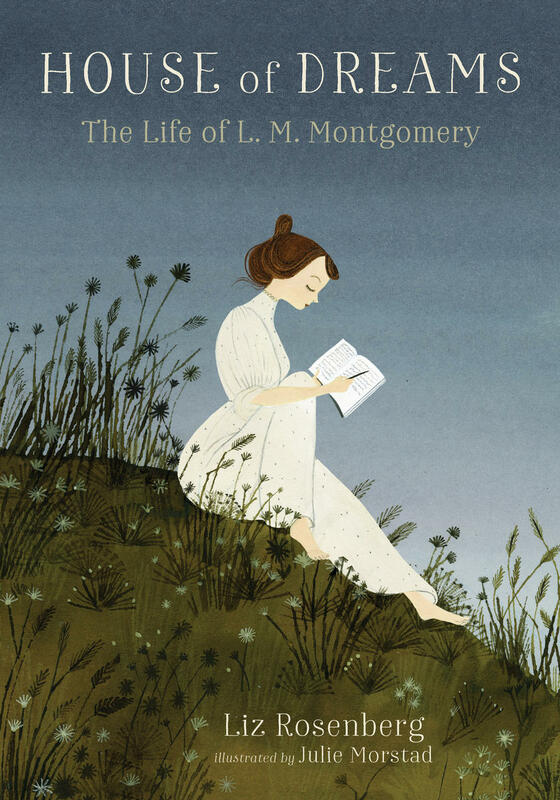 The biography House of Dreams: The Life of L. M. Montgomery, written by Liz Rosenberg and illustrated by Julie Morstad, is advertised as "the first for young readers to include revelations about [Montgomery's] last days and to encompass the complexity of a brilliant and sometimes troubled life." Here, Rosenberg and Morstad discuss their creation process. 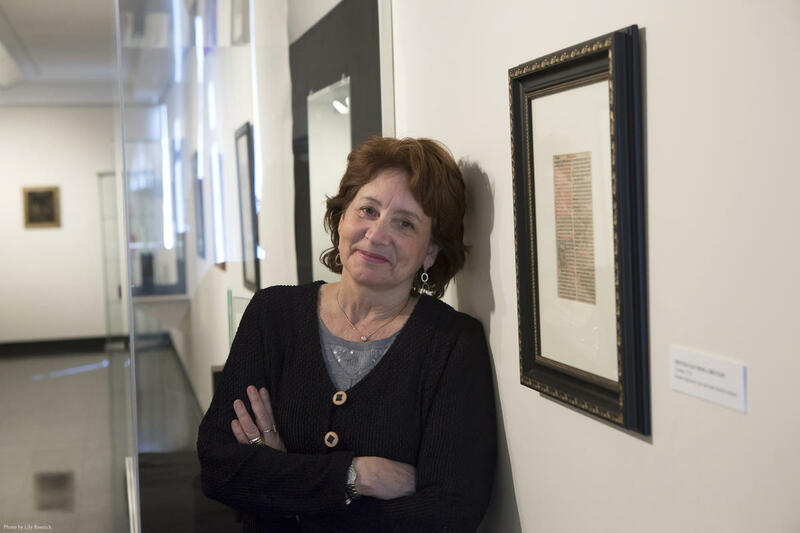 Liz Rosenberg is a poet, best-selling novelist, professor, and writer of numerous acclaimed books for children. 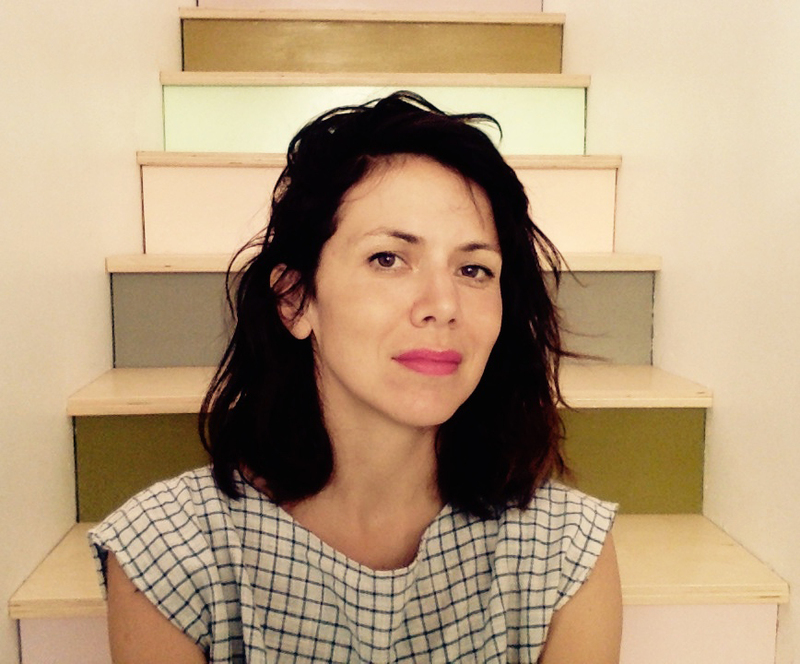 She has edited several poetry anthologies for young readers, including Light-Gathering Poems, winner of the Lee Bennett Hopkins Poetry Prize. She lives in Binghamton, New York. Julie Morstad is the illustrator of numerous books for young readers, including When Green Becomes Tomatoes by Julie Fogliano and Swan: The Life and Dance of Anna Pavlova by Laurel Snyder. She lives in Vancouver, British Columbia. First, Rosenberg chatted with me about what it was like to write and research the biography. Michaela Wipond (MW): What compelled you to write a biography of Montgomery specifically for young readers? Liz Rosenberg (LR): As a young reader myself, I adored reading biographies of famous women—Clara Barton, Florence Nightingale, and especially, Louisa May Alcott. I still have that biography, Louisa May Alcott: Girl of Old Boston. No idea how many times I've re-read that book. Maybe as an avid reader and hopeful young "scribbler," as Maud would say, I needed to know that young girls had grown up to become the authors I adored. Since I'd also always adored L. M. Montgomery, that was an easy transition. And hopefully young readers today will love biographies as much as I did. MW: You tell the story of Montgomery's life through a close third-person narrative. What made you choose such an intimate point of view? LR: What a great question! The third person limited narrative wasn't a conscious choice. But as a biographer, I wanted to lean in as close as possible to Maud's own point of view, while still maintaining objective distance. The close third person allowed me to move in and out, depending on what was happening, and how much information we had about Maud's point of view. Luckily, she left behind many volumes of those beautiful blue journals and daybooks she kept—many gorgeous letters to family and friends—so we know quite a lot about her. She destroyed almost all of her earliest writings, stories, poems and journal entries composed before the age of fifteen. You can't help but wish we still had those. Maud herself later wished she hadn't burned them! But we still have quite a lot of material. MW: Which research materials proved most useful to the biography's composition? LR: Which leads to this question. Of course, the L.M. Montgomery Institute is an invaluable resource! It is simply amazing what you have—everything from the famous big spotted china dogs Maud collected, reminders of her father's fanciful stories, to samples of her embroidery; her day dresses; her journals; swatches of fabric from her wedding trousseau—the list goes on and on. I was also blessed to be guided and befriended by the amazing Mary Rubio, who wrote the definitive Montgomery biography for adults, and has contributed so abundantly to the Montgomery archive of knowledge. So many brilliant researchers, scholars, and biographers came before me. It's impossible to express how grateful I am to them all, and to the Montgomery family as well for allowing me such generous access to source materials. MW: Alexander and Lucy Macneill are portrayed with a level of complexity in the biography that is lacking from even Montgomery's own journals. What attracted you to these characters and how did you approach their depiction? LR: It's interesting that you ask about the Macneills. I have to say that, for me, nearly every book I write begins with a question. What if such-and-such happened? In the case of biography it's more like: Who was so-and-so, really? My initial question was, Who was Marilla, really? Who is this older woman who adopts Anne and comes at last to truly, deeply love her? I had a feeling maybe there was a darker story behind her. I was expecting to find a meaner real-life Marilla in Maud's own story. Instead what I found was two aging grandparents—one prickly, the other unable to express her affections openly—who devotedly and with great dedication raised this last child they were never expecting to raise. Their youngest daughter was nearly grown by the time Maud's mother died and her father left her behind to find work and a life elsewhere. Alexander Macneill was the failure in his own family, I suspect—the others had gone on to political power, wealth and position. He was simply a farmer and ran the local post office. He was also a grouch and a great story-teller. Lucy Macneill, his wife, was a rather buttoned-up person. But in her own way she was fiercely dedicated. 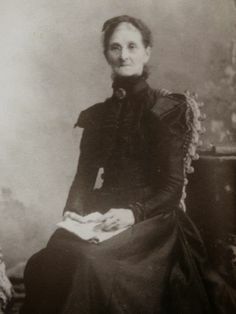 She worked hard to earn extra household money, she helped her husband run his post office, she volunteered at church, and she set about to educate Maud far beyond what was expected at the time. If you see her photograph you feel you are LOOKING at Marilla. But I think Maud graced her with a sense of humor and a warmth that she didn't possess. It was a perfect fiction, the rescue she created for Anne—very different from her own. Maud never dedicated a single book to her grandparents. But without them, she could never have become the author we all love. That's quite a paradox. And great material for a biographer! MW: The biography is described as "the first for young readers to include revelations about [Montgomery's] last days." Why was it important to you to address these revelations and how did you tackle such a difficult and sometimes-controversial topic? LR: Maud's last years were difficult. They were fraught with troubles of all kinds: money troubles, family troubles, personal troubles. I find it astonishing that one of her very last acts was to send a book off to her publishers. Did she die from suicide, or was her death an accidental overdose? We may never know. But we do know that L. M. Montgomery struggled intensely with depression and anxiety, and her husband also suffered from mental illness, and, very likely, so did her eldest son, Chester. The Montgomery family was brave enough to unearth all that many years after Maud had passed away. So I wanted to be brave enough to write about it too, even in a book for young readers. Many children's books gloss over the difficulties in a person's life. As a young reader I myself struggled with periodic depression, from about the age of seven on. No one ever wrote about this in any children's book I ever read. But I knew there should be such stories. So I'm hoping that this biography will say to young people, if you suffer, too, you are not alone, some really great and brave people have suffered as well—great statesmen and women, authors, artists, sports figures, all kinds of people. I wanted to focus on the positives in Maud's life, to let the biography be, as she once said "an emissary of light." But I also wanted to tell the truth. It was my honor and joy to write for young people a book about an author who meant so much to me when I was young. I still have the first copy of Anne of Green Gables that my mother gave me, with its green cloth cover. I still treasure it. Next, Morstad told me about the illustrations she created for House of Dreams. MW: What was your initial reaction to being approached with the project? Julie Morstad (JM): Excitement! I loved Anne of Green Gables as a child, and I had been reading the book with my eight-year-old daughter at the time so it was nice to learn about her as we read the book together. MW: How familiar were you with Montgomery and her work before accepting the project? JM: I knew basically nothing about Lucy Maud before I read the manuscript. I grew up with the original Canadian TV series of Anne, which became lodged in the imagination. It was fascinating to learn about the similarities and differences between LMM and the character she created. MW: Was there a universal message or theme you wanted to convey through all of the illustrations? JM: While I didn't have a theme exactly, I did want the drawings to bring a certain lightness to Montgomery's life story, which of course was pretty heartbreaking at times. MW: How influential was the real PEI to your illustrations of it? JM: I wish I could say I’d been there - it looks like such a magical place. I had to rely on photos. But luckily her life was pretty well-documented so there was a wealth of material to draw from. MW: How closely did you and Liz Rosenberg work together? JM: Alas, We actually haven't met! I worked closely with Heather McGee in Candlewick’s design department. If you're interested in House of Dreams, it's available on both Amazon and Indigo--or check your local bookstore! HOUSE OF DREAMS: THE LIFE OF L.M. MONTGOMERY. Text copyright © 2018 by Liz Rosenberg. Illustrations copyright © 2018 by Julie Morstad. Reproduced by permission of the publisher, Candlewick Press, Somerville, MA.